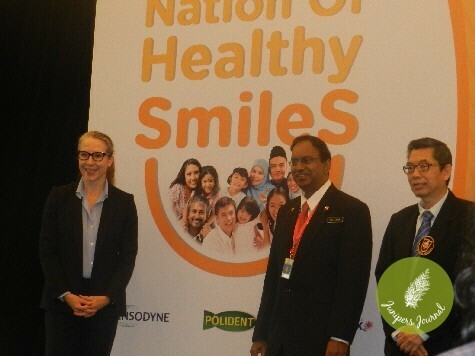 GlaxoSmithKline Consumer Healthcare Sdn Bhd (“GSK”) has collaborated with Malaysian Dental Association (MDA) to launch ‘Nation Of Healthy Smiles’ Campaign, with the support of Ministry of Health Malaysia. The three-month long campaign aims to educate Malaysians in making clear decisions to meet their special oral care needs which include sensitive teeth, gum care & denture care. It further aims to contribute towards elevating oral health standards amongst Malaysians in the longer term, in line with GSK Consumer Healthcare’s mission to help more people around the world to do more, feel better and live longer. Incidences such as sensitive teeth and bleeding gums are very common among young adults aged 18 to 34 in Malaysia but they are not taking control of their oral health condition. 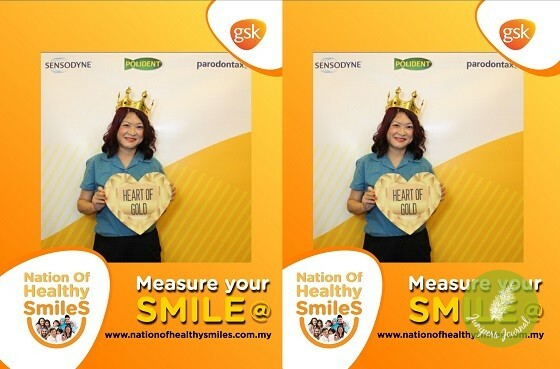 For the first ti,e to reach out to the “always online” age group, GSK ‘Nation Of Healthy Smiles’ Campaign is introducing the ‘Smileograph’, a digital platform that encourages the public to collect their smiles by uploading them through social media and website. Each smile collected will equal a free dental screening at a participating MDA clinic. Nation of Healthy Smiles aims to provide 7,500 free dental screenings to those who are in need at an anticipated 150 participating MDA clinics across Malaysia. The joint campaign is about providing education, awareness and tools needed to promote oral health and reduce prevalent oral conditions in Malaysia, starting from the basic dental care regime to the special care for sensitive teeth, gum problems and denture are. As part of the ‘Nation Of Healthy Smiles’ Campaign, there will also be 10 roadshows at selected hypermarket/supermarket outlets. To my surprise, I scored 95% on the Smileograph. Too bad there wasn’t a contest among the guests at this launch otherwise I think I might have had the winning smile. To view the list of participating MDA clinics or to find out more information on the campaign, please visit www.nationofhealthysmiles.com.my. You can also share your smile through Facebook and Instagram.